Websitedesign.org.in is a reputable web solutions company offering services of mobile friendly website design in Delhi NCR, where the site is designed keeping in mind the dynamicity of users. You can trust the responsive web development company Delhi NCR be it for a small business or for a large enterprise. We know that a large customer base accesses sites from their mobile phones and tablets and thus our team of experts makes sure that the site is responsive to these devices. Responsive website development is now a necessity of any company that wishes to go online. Our team knows it and hence designs templates which are mobile friendly as well as responsive. Our web developers aim to design the site in such a manner that it is adaptable to mobile device. We also offer free theme selection for website ranging from corporate and professional to animated and creative. 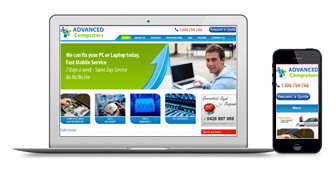 Our experts excel in designing customized animation themes, landing page and flash websites. We offer logo designs for websites as well with our unique concept of customized logo design in the region of Delhi NCR.